NEW YORK (Reuters): Defending champion Rafa Nadal failed to win a single game in the opening set of his US Open quarter-final against Dominic Thiem on Tuesday but fought back to beat the Austrian 0-6 6-4 7-5 6-7(4) 7-6(5) in match that ended past 2 a.m. in New York. 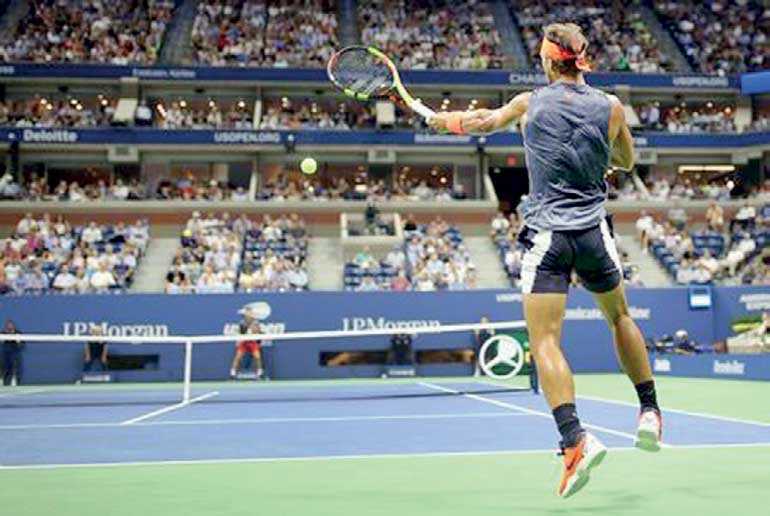 Nadal won just 40 percent of his first serves in the first set as he struggled with the high humidity on the Arthur Ashe Stadium court, as Thiem became the first player to ‘bagel’ the Spaniard at Flushing Meadows since Andy Roddick 14 years ago. “It’s been a great battle,” an exhausted Nadal said. “The conditions were tough, very humid for me.”Thiem, who lost to Nadal in the French Open final but who has beaten the Spaniard three times in 10 previous meetings, struck 74 winners, including 24 with his stylish single-handed backhand, to keep the champion under constant pressure. “Thank you very much everybody for staying here tonight,” Nadal said after the four hour, 49 minute marathon.